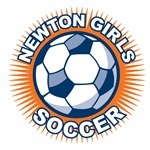 Newton Girls Soccer aims to provide each NGS player the opportunity to learn and play soccer in a supportive and rewarding environment that emphasizes fun, individual skills development, teamwork and sportsmanship, all at a level that fits her interest and ability. NGS aims to ensure all our players learn the game and develop to their fullest potential. Players develop through activities like playing & practicing, which are lead by our coaches. When coaching, the focus should be all about developing the players, not wins & losses. It is the responsibility of all coaches to better learn the game and develop those players you have the honor to coach. It is our responsibility to embrace the NGS curriculum and use the tools provided to you to make sure we are teaching our players age appropriate skills. A critical aspect of this implementation is ensuring that our volunteer coaches are knowledgeable of the game, have a strong support system for guidance, and focus on player development and the experience of each child. That process will be reinforced on the fields by our Director of Coaching Shaun McBrien. At present our DOC currently oversees all Player Development and Coach Education aspects within NGS. This includes programs such as Juniors, City, Travel, Academy, Skills Development and Vacation Clinics. The DOC will guide coaches and suggest age appropriate skill development drills, and specific practice sessions. The DOC will be a Coach for the Coaches, rather than someone to run practices. Be a positive role model for all participants. Remember that soccer is just a game; the opposing team is made up of other children like our own. Maintain and enhance your coaching skills by taking the next level MYSA (Massachusetts Youth Soccer Association) coach licensing courses, which are subsidized by the club, and attending coaches clinics and workshops. We have our own NGS curriculum; (Read it, Learn it and Use it) Our Curriculum is all about long term & age appropriate development. Teach/Coach what should be taught at each age. Following the correct steps, building that foundation to make sure all players learn and grow as a player correctly. Treat Referees with the respect that they deserve. Some referees may even be our daughters. Do not question their calls; their judgment is final. Coaching is for practice sessions-Don’t coach from the sidelines. The game is the best teacher. Let the girls play and they will learn. Encourage and positively reinforce when necessary and guide them when they are on the sidelines. Be well organized and fully versed in all of the necessary administrative requirements; stated or implied. Do not get caught up in the “agenda setting or player promotion activities” of some parents or coaches. Any questions regarding player placement on teams, conflicts between coaches are to be directed to and resolved by your age group coordinator. Players and parents should not be involved in any way. All Coaches including assistants must be CORI checked and approved. In addition they must complete Concussion Awareness Training. Be punctual and dressed appropriately for practices and games. All coaches are to bring equipment and first aid kit to each Training session & Games. Keep in touch with your league/age group coordinator. Complete seasonal player evaluations to help with team placements. Our efforts are for the “Players” and that is all that matters; their interests and well being are paramount.